At a news conference after his team’s Cricket World Cup loss to New Zealand, as the emotions of the defeated captain were almost painfully raw, AB de Villiers’ most revealing answer was of only one word. De Villiers’ voice cracked as he fielded questions, and he paused at times to wipe his eyes. At other moments, his answers tailed off and he looked almost vacantly into the middle distance. He was being asked to articulate the emotions of defeat, a defeat by the slightest of margins, at a time when it was still too recent and too bitter. He did his best, but he likely conveyed with his demeanour more than he could with his words the deep sorrow he felt at the end of another, ill-fated South African World Cup campaign. That single syllable spoke more eloquently than any of his deeper and more reasoned answers. This was the nadir of de Villiers’ career as South Africa captain: His deep belief in his team’s ability to win under any circumstances had been tested and even shaken, and he found the dissolution of his hopes almost too much to bear. He was asked whether it would eventually make him feel better, make the loss more endurable, that he had been been part of one of the World Cup’s greatest games. “It doesn’t make me feel better at all,” he said. “My goal is to win games of cricket, to take glory home, and make a difference in the nation’s heart and hope, and we didn’t achieve that, and it hurts quite a bit. I’m gutted. We had our chances and didn’t take them. De Villiers’ disappointment was greatly increased by knowing South Africa had the winning of the game. A crucial dropped catch, when Farhaad Berhadien and JP Duminy collided in the outfield, gave an amazing let-off to Grant Elliott, who went on to make 84 not out and hit the winning runs. 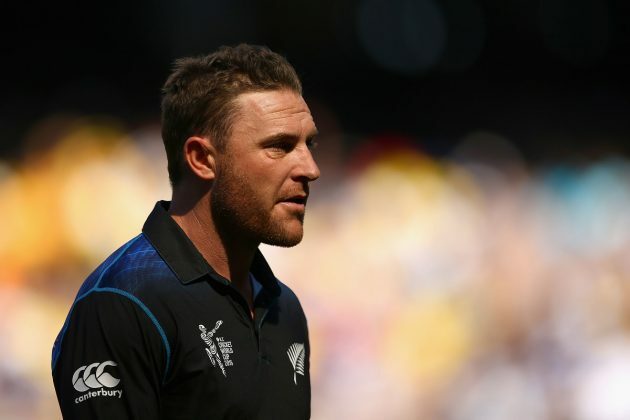 More personally, de Villiers botched his attempt to run out Corey Anderson, who went on to make 58, in an incident which might have changed the trajectory of the match. He agreed that the missed run-out chance had been one of the opportunities to win the game. “I guess if you want to see it that way, I cost us the game,” he said. The match came down to a final over from which New Zealand needed 12 runs and which de Villiers allocated to his veteran fast bowler Dale Steyn. “We discussed every single ball,” de Villiers said. “Yorker, slower ball, hard length. We were trying everything.